Samuel Gridley Howe. He wears a suit and has long hair and a beard. 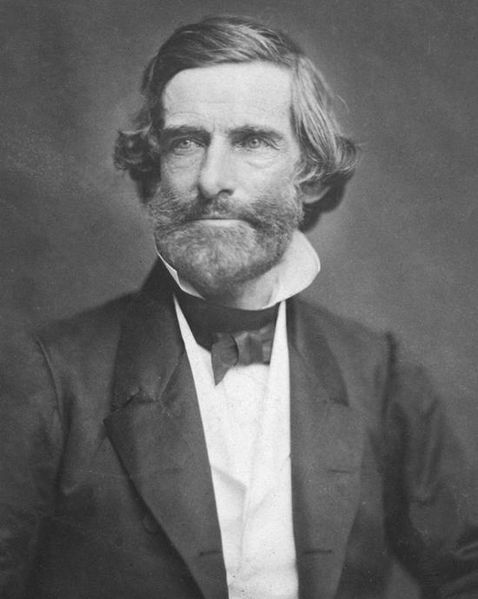 Disability rights originated in Boston, Massachusetts in 1846 with Samuel Gridley Howe. Howe was a physician, abolitionist, advocate for education for the blind, and supporter of the “feeble-minded.” He dedicated years to studying children with intellectual disabilities and mental illnesses, and in 1849, Howe opened the Massachusetts School for Idiotic Children and Youth in Boston. This school was a rehabilitative center which taught children basic knowledge and life skills so that they could return to their families happier and with some practical knowledge. The Massachusetts School for Idiotic Children and Youth in Boston was very successful, so much so that parents typically did not wish to resume their guardianship, believing the children to be better off at the school. This, however, contradicted Howe’s vehement opposition to permanent institutionalization and the segregation of those with disabilities. In addition, Howe was influential in developing the first disability pension support system for Civil War veterans (Harrison, 2004). While society was typically supportive of disabled veterans, society often viewed civilians with mental or physical disabilities as defective. Moreover, support for involuntary sterilization became more common in the early and mid-twentieth century. In 1922, Harry Laughlin, a prominent mouthpiece for eugenics, crafted a sterilization law that would require sterilization of the “feeble-minded,” the “insane,” the “delinquent,” the “diseased” (including diseases such as leprosy and tuberculosis), the deaf, the “crippled,” and all “dependents,” such as orphans. By 1938, 33 states adopted sterilization laws based on this model, and between 1921 and 1964, 63,000 individuals were sterilized. The sterilization law in Virginia was not repealed until 1968, but sterilizations continued until 1972, when 26 states still had similar laws (Harrison, 2004). The disability rights and accessibility movement began in earnest during the 1960s with veterans of World War II, veterans of the Korean War, and polio survivors paving the way for legislative change (Dell Orto & Marinelli, 1995). World War II veterans are especially credited with making disability rights more visible, pressuring the government to provide them with sufficient support, including rehabilitation and vocational training (Anti-Defamation League, 2017). This movement was modeled after the Civil Rights and women’s rights movements, and its primary focuses were on front door access, mainstreamed education, and integrated housing opportunities. Grassroots activists targeted architecture in their activism, highlighting that the inability to access polling places, civic buildings, recreation facilities, and public streets was preventing individuals with disabilities from having equal opportunities and a comparable quality of life to their peers without disabilities (Dell Orto & Marinelli, 1995). Universal DesignRon Mace smiles. He sits in a motorized wheelchair. Ron Mace smiles. He sits in a motorized wheelchair. 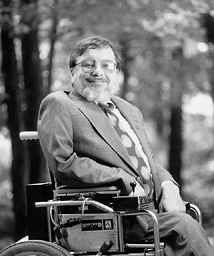 Ron Mace, a polio survivor, architect, and advocate, coined the term universal design to describe architecture and products being created to be both aesthetically pleasing and usable to the greatest extent by as many people as possible, regardless of their age or ability (Center for Universal Design, 2008). Some examples of these accessible designs include smooth, ground level entrances without stairs, wide interior doors, hallways, and alcoves, turning spaces at dead-ends and doors, and lever handles rather than twisting knobs for opening doors. Mace was a devoted advocate for disability rights and helped to develop the United State’s first accessible-building code. Furthermore, his advocacy for protecting individuals with disabilities from employment discrimination influenced the Fair Housing Act of 1988 and the Americans with Disabilities Act of 1990 (Saxon, 1998). Ruth Lusher, similarly passionate about architecture and also a polio survivor, is the manager of the Americans with Disabilities Act (ADA) Technical Assistance Program in the Disability Rights Section of the U.S. Department of Justice. She helps to develop and disseminate materials explaining ADA access requirements and provide technical assistance to businesses, people with disabilities, state and local governments, and architects (Institute for Human Centered Design, n.d.). The Disability Rights and Inclusion movements raised awareness and advocated for the rights of persons with physical and intellectual differences. But, just as people have the right to access physical spaces in the United States, each person also has the right to access the online world. Public awareness of the need for web accessibility and inclusive design has brought about significant advancements in accessibility technology. Laws have also been changed to reflect this growing concern: in 1998 the Section 508 Amendment to the Rehabilitation Act of 1973 required all Federal agencies’ electronic and information technology (such as computer hardware and software, websites, phone systems, and copiers) to be accessible to those with disabilities. Technology can be used as a tool to solve the same problems it has created; voice synthesizers can read web pages aloud for the visually impaired, sound signaling software can visually alert deaf and hearing-impaired users when websites are using sounds, and closed-captioning can make videos more accessible. (Richards, n.d.). Moreover, access to technology, especially at home, provides individuals with disabilities broader options for work. Teleworking creates a more accessible and flexible work environment, while also promoting retention of productive employees who have differing needs (Atkinson & Castro, 2008). The ANSI Standard A117.1 (1961) was originally known as Making Buildings and Facilities Accessible to the Physically Handicapped. 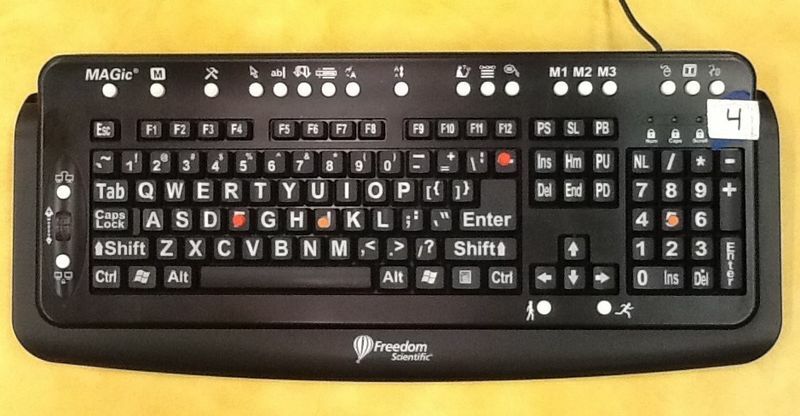 This was the original accessibility standard, and it was considered voluntary (Dell Orto & Marinelli, 1995). The Architectural Barriers Act of 1968 was enacted by President Lyndon B. Johnson. It required all facilities funded by the federal government be accessible to all (Dell Orto & Marinelli, 1995). Thanks to the Rehabilitation Act of 1973, the civil rights of people with disabilities were protected by law. This bill mandated equal opportunity for employment in the government and in federally-funded programs, and created the U.S. Architectural and Transportation Barriers Compliance Board, providing equal access to public services such as housing and public transit (Anti-Defamation League, 2017). In 1998, the U.S. Congress amended this act with Section 508 which requires Federal agencies to make their electronic and information technology accessible to people with disabilities. The Education for All Handicapped Children Act guaranteed equal access to public education to children with disabilities. It stated that every child has the right to education and that they must be included in mainstream education classes, unless their disability prevented them from achieving a satisfactory level of education. This act was renamed the Individuals with Disabilities Education Act (IDEA) in 1990 and required that an Individual Education Plan (IEP) be designed with parental approval for every child with a disability (Anti-Defamation League, 2017). The Fair Housing Act of 1988 required that all new multifamily and condominium construction and be accessible to those with disabilities (Dell Orto & Marinelli, 1995). The American with Disabilities Act of 1990 included provisions for nearly universal accessible coverage. Title I mandates that workplaces cannot discriminate against those with disabilities, and requires workplaces to include reasonable accommodations for these individuals. Title II reaffirms the Rehabilitation Act of 1973, including tougher sanctions and more extensive implementation procedures to promote accessibility. Title III requires reasonable accommodations in public facilities (Dell Orto & Marinelli, 1995). In Olmstead v. L.C. (1999), the U.S. Supreme Court determined that individuals with disabilities need not be required to live in institutions to receive services and that they may live in their home while receiving services and participating in programs and activities formerly offered only to those in institutions (Quinn, 2005). EveryBody: An Artifact History of Disability in America. Smithsonian. National Museum of American History. Kenneth E. Behring Center. In Helping Those With Disabilities, ADA Improves Access For All. National Public Radio, July 24, 2015. AccessApps: a collection of over 60 open source applications providing a range of solutions to support writing, reading, and planning, as well as sensory, cognitive, and physical difficulties. W3C Accessibility (World Wide Web Consortium) Web Content Accessibility Guidelines (WCAG) and content related to web accessibility. “George Bush and the Americans with Disabilities Act,” by Edward Berkowitz, Ph.D.
Dell Orto, D. E. & Marinelli, R. P. (1995). Architectural accessibility. In Encyclopedia of Disability and Rehabilitation. (pp. 69-74). New York, NY: Simon & Schuster Macmillan. Dell Orto, D. E. & Marinelli, R. P. (1995). Neuromuscular disorders. In Encyclopedia of Disability and Rehabilitation. (pp. 509-513). New York, NY: Simon & Schuster Macmillan. Harrison, J. (2004). Disabilities movement. I. Ness (Ed. ), In Encyclopedia of American SocialMovements. (Vol. 4, pp. 1245-1251). Armonk, NY: M.E. Sharpe. Kinder, J. M. (2015). Paying with their bodies: American war and the problem of the disabled veteran. Chicago, IL: University of Chicago Press. Quinn, P. (2005). Disability policy. J. M. Herrick & P. H. Stuart (Eds. ), In Encyclopedia of Social Welfare History in North America. (pp. 85). Thousand Oaks, CA: Sage Publications.